I don’t know what it was about this month, but pretty much every book I read this month, even including my Little Women reread, I started out feeling invested in but was kind of over by the end. Two Summers and One of Us is Lying did hold my interest throughout more than the others, but they did have some story things that bothered me that left me only mildly satisfied in the end. I’m wondering if I just took too long to read everything as opposed to there being actual pacing problems with all these books. I’m hoping October will pick back up for me… I’m almost finished with a non-fiction book I just started the other day. My favorite of the month: I think I’m going to go with Second Chance Summer, but Listen to Your Heart and The Thing With Feathers were two more I really enjoyed! I read a lot of YA contemporary in August and it felt like the perfect way to end the summer! What did you read in August? My favorite of the month: I am pleased to say I ADORED A Hint of Hydra, the follow-up to A Dash of Dragon, which I also adored. I don’t read a lot of middle grade but I really highly recommend this! So excited for a Pinch of Phoenix to come out next year! What I Read in June + I Met Stephanie Garber! June was another month that felt slow for physical reading, and I’m just resigning myself to the fact that this is the pace I am going to read at in my current life phase (which seems to be perpetually busy for unknown reasons). And that’s fine. Audiobooks are helping me read more overall, even if I feel like it doesn’t completely count, even though everyone assures me it does! And it guess I should acknowledge that it really does, considering some of my favorite books so far have been ones I listened to… stay tuned for my top 10 books I’ve read so far this year list next week! I enjoyed all of these, with my top two faves being Stalking Jack the Ripper and Legendary, which is great because I got to meet both authors in June! So Stephanie and I actually go back a little ways, when once upon a time we met through blogging! She hopped onto Heidi Lang and Kat Bartkowski’s blog when the two girls were Stephanie’s Pitch Wars mentees, and we got to know each other online. 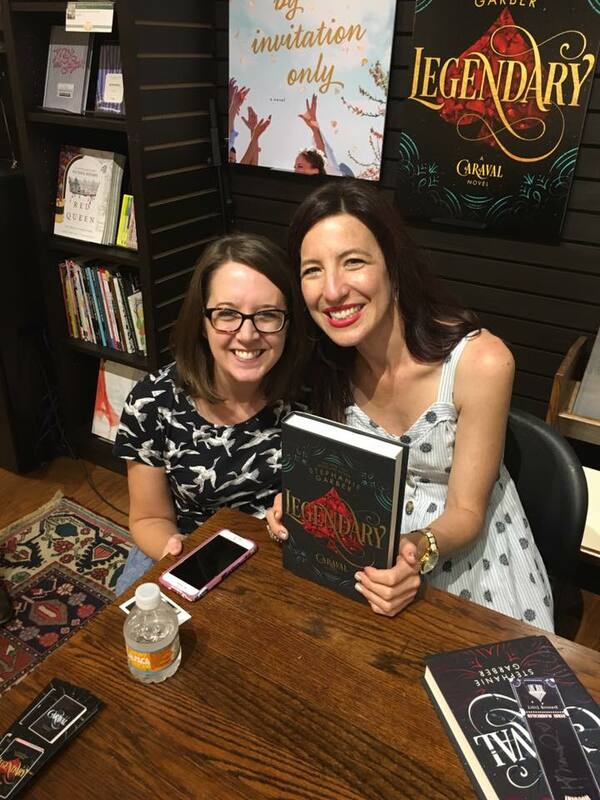 Flash forward to her selling Caraval (and Heidi and Kat are also published now with the delightful middle grade A Dash of Dragon and upcoming A Hint of Hydra), and it’s been so fun to watch her dream of becoming a published author turn into a reality! 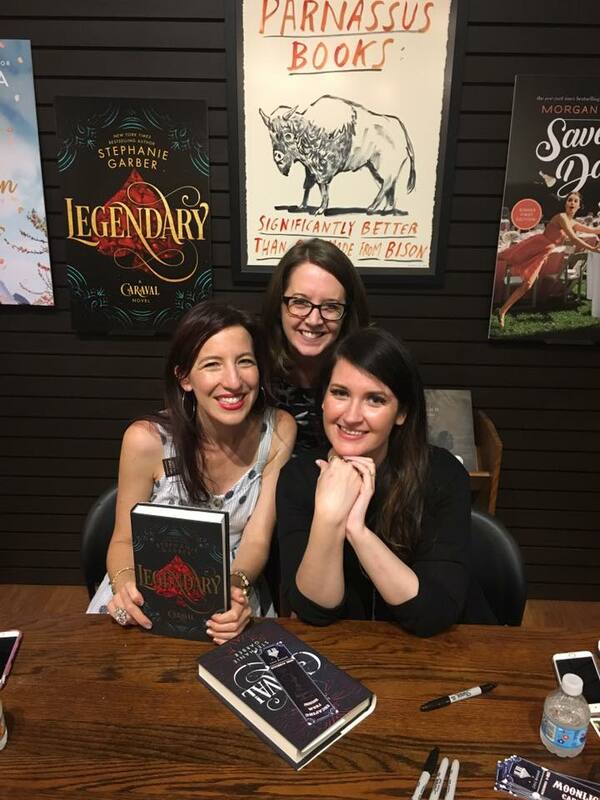 So when she announced her book tour for Legendary and I saw Nashville’s Parnassus Books on the list, I was ecstatic that I would have the chance to meet Stephanie in real life! I have to say, I was really nervous! I think Stephanie knew I was coming, but I still wondered if I needed to be like, “Hey, it’s me, Amy!” or if she would recognize me on her own. Thankfully, it only took her a couple of seconds of looking at me to recognize me and was instantly like, “Can I give you a hug?” Of course! Stephanie is just the sweetest and everything about the evening was so fun. I had just listened to Jack the Ripper on audio the week before when I realized Kerri would be at the event too, and while I’m sad I didn’t have a book for her to sign, I told her I enjoyed it and she gave me an autographed bookmark for Escaping from Houdini, which I am excited for! I love how books and writing can bring people together! Tell me what your favorite book you read in June was!